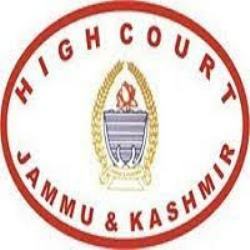 High Court of Jammu and Kashmir published an official notification for Recruitment of Urdu Stenographer, Assistant Protocol Officer & Others for 14 posts. Eligible candidates can apply for this recruitment. You can view more details about this recruitment including No. of posts, name of post, Educational qualification, Age limit, Selection process, How to apply etc... You can also view official notification and other important facts about this recruitment e.g. Important links and Important dates. Have deposited fees of Rs. 160/-(Rupees one hundred and sixty Only) for the posts of Class-IV i.e. Process Servers, Orderlies, Chowkidars and Sweepers and Rs. 260/- (Rupees Two hundred and sixty Only) for other Non-Gazetted posts. The selection shall be made as per the J&K Reservation Rules 2005.